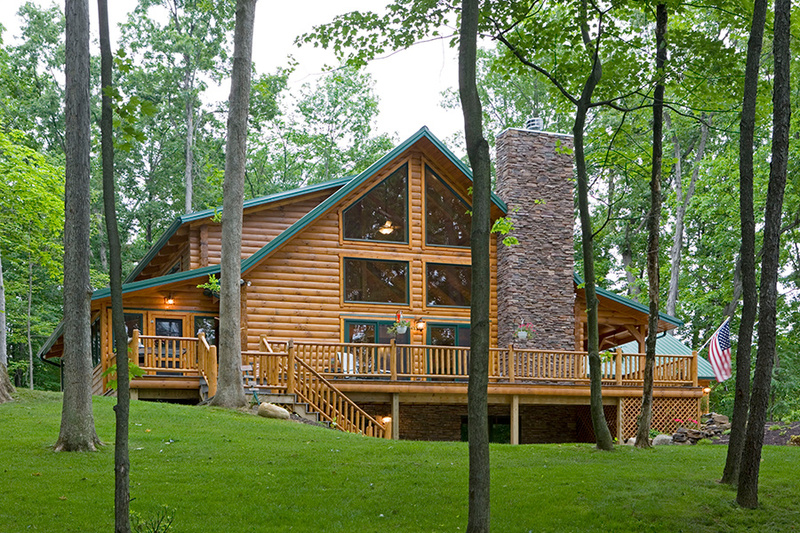 The Hickory Hills was featured in "Country's Best Log Homes" and is a fine example of a plan that blends the relaxing rustic charm of a log home with the contemporay touches of today's lifestyle-giving you more time to enjoy life to the fullest. From the popular open-concept great room with the large ceiling timbers, expansive glass wall and corner fireplace to the walk-around deck, this plan is impressive. The convenient first-floor laundry and pantry, plus kitchen with a large island add to its practicality. The master Bedroom features a large master bath and walk-in closet. 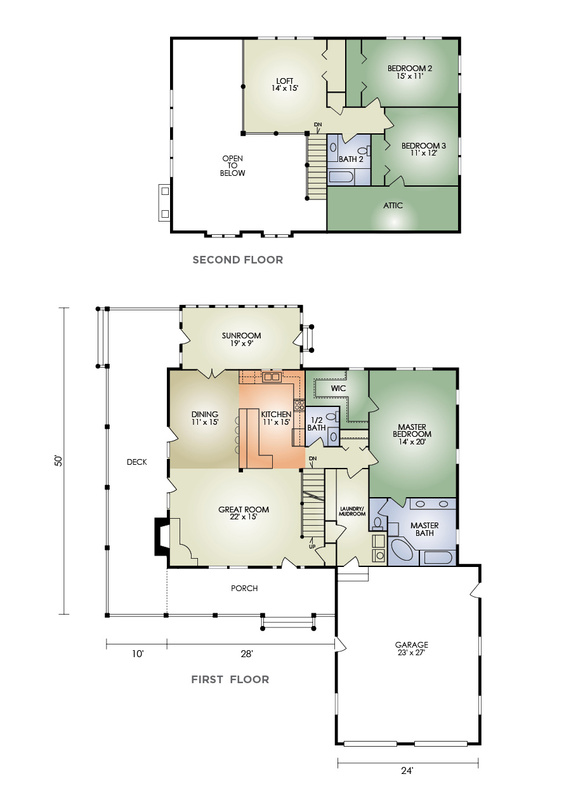 Upstairs, the spacious loft overlooks the great room and dining area and has two additional bedrooms and a full bath.